Video: The Rugrats Are Back And So Is Your Childhood! Home / Entertainment / Viral / Video: The Rugrats Are Back And So Is Your Childhood! 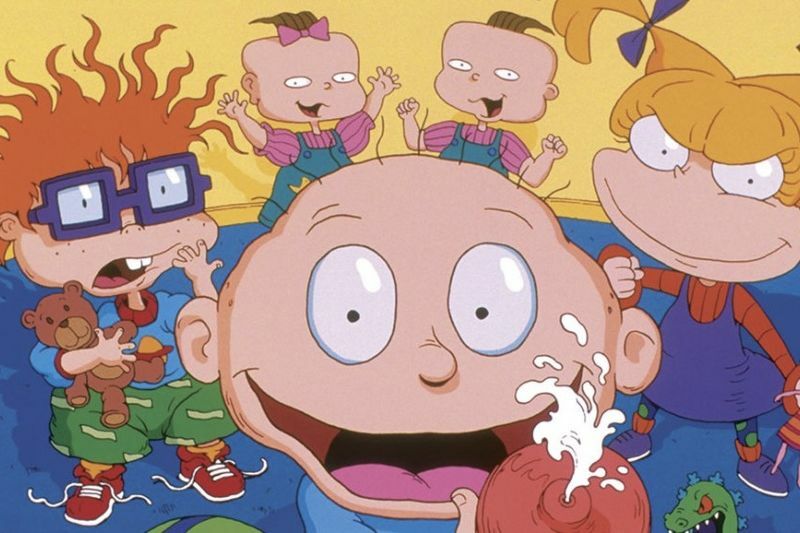 The mischevious talking babies we know as the Rugrats are coming back! On Monday evening, when the Rugrats TV revival and live-action movie were announced, fans exploded with the happiness that the Rugrats brought to their childhood. The Emmy award-winning kids show debuted in 1991 and lasted for 13 years (from 1991 to 2004), with 9 seasons and millions of fans. The revival will include the whole gang, Tommy and Angelica Pickles, Chuckie Finster, and Phil and Lil DeVille who will be joined by some new characters. Most fans expressed their joy but many were also dubious about the movie, concerned that it would ruin the essence of the Rugrats' misadventures as it is said to include CGI characters, likely playing the babies. The original creators of the show, Arlene Klasky, Gábor Csupó and Paul Germain, will return as executive producers but it is unclear as to whether any of the original voice actors will be returning to their characters. Christine Cavanaugh, who voiced Chuckie, died in 2014. After Nickelodeon revived old favourites like Hey Arnold for a TV-movie in 2017, a Modern Life reboot special is planned for 2018, and an Are You Afraid of the Dark movie, it would be a crime to ignore the Rugrats... As long as the 90's kids get ticket preferences for the movie. Although the revived series will be enjoyed by kids today, adults will be sure to re-live some of their childhood moments in front of the TV with a bowl of fruit loops. The Rugrats movie will be released in 2020 but the release date has not been set for the series yet. Regardless, we are totally prepared for the blast from the past that is coming our way! Video: Could Aquaman Win Back Dc Fans? Video: Kids That Redefined The Dictionary As We Know It! Spiderman Homecoming 2 Packed Full Of Plot Twists And Rumours! Video: Pixar Speaks Out Against Bullying In The Cutest Way Possible! Video: These Kids Definitely Aren't Just Another Brick In The Wall! Video: The Culprit Was Caught In The Act! Video: Amy Schumer Facing Massive Backlash World Wide! Video: Get Your Popcorn Ready! Watch The Trailers For 2018s Most Anticipated Comedies! Video: Take A Picture First, Help Second! Video: Hilarious Parent Hacks That Every Parent Should Know! Video: The Ellen Show: Why I Don't Have Kids Compilation!